One year ago, rookies Aaron Telitz (Belardi Auto Racing) and Colton Herta (Andretti Steinbrenner Racing) burst onto the scene in Indy Lights by sharing the victory spoils at the Mazda Indy Lights Grand Prix of St. Petersburg Presented by Cooper Tires. Now with a season of racing at this level under their belts, the pair will be chasing victory again in the hope of following in the footsteps of the last four series champions, Gabby Chaves, Spencer Pigot, Ed Jones and, most recently, Kyle Kaiser, who will all be competing in this year’s Verizon IndyCar Series. “I have so many good memories of St. Pete,” said Telitz, from Birchwood, Wis., who also won the final race of last season at Watkins Glen and showed strong pace at the final pre-season test recently at Homestead-Miami Speedway in South Florida. 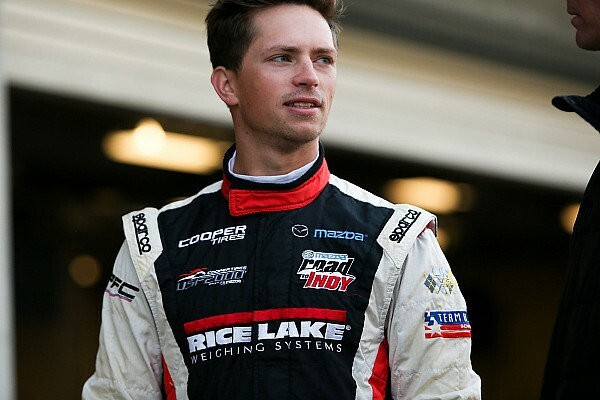 “I’ve been on the podium here every year, except for my rookie year in USF2000 when I crashed out of both races – as rookies do! Herta, too, is in a confident frame of mind heading into the new season alongside returning teammates “Flyin’ Ryan” Norman, from Cleveland, Ohio, who impressed at Spring Training, and Indianapolis-based Canadian Dalton Kellett, plus promising young Mexican Patricio “Pato” O’Ward. Telitz and Herta aren’t the only contenders to have tasted success previously in St. Petersburg. O’Ward shared the Pro Mazda wins with Telitz in 2016 and last year finished third in one of his four Indy Lights starts, while popular Uruguayan Santiago “Santi” Urrutia (Belardi Auto Racing) finished second in Pro Mazda in 2015 and second again last year in Indy Lights before going on to take the runner-up position in the championship for the second straight season. Also from South America, Brazilian rookie Victor Franzoni has similarly high expectations after stepping up with the same team, Juncos Racing, with which he won the Pro Mazda title and which guided Kyle Kaiser to top honors in Indy Lights. Team Pelfrey was not present at Spring Training but has been working hard behind the scenes and has now finalized plans to field its pair of distinctive yellow Dallara-Mazda IL-15s for returning veterans Neil Alberico and Shelby Blackstock. Both Americans have finished on the podium at St. Petersburg as they worked their way up the Mazda Road to Indy via USF2000 and Pro Mazda. One year ago they placed third (Alberico) and fourth (Blackstock) in the corresponding Indy Lights season-opener. The weekend’s activities will commence on Friday morning, March 9, with a 45-minute practice session starting at 8:50 a.m. EST. Separate 30-minute qualifying sessions will take place at 1:40 p.m. on Friday and 8:30 a.m. on Saturday, followed by Race One at 1:05 p.m. on Saturday and Race Two immediately before the IndyCar main event on Sunday at 10:45 a.m. The race will air on NBCSN on Monday, March 19, at 6:00 pm EST. Image courtesy of Motorsport.com; Content courtesy of the Mazda Road to Indy.